Ordering Information: 'Buy Now' buttons (for instant credit card payments) are for single item purchases only, although you may buy multiples of the same item. For orders containing several different items (such as hoses, duckbill and clamps), please email to obtain discounted shipping charges. For orders outside the US, please email for a shipping quote. We also accept payment by check or money order - click here for our print and mail order form. Credit card payments processed through PayPal. #NUBH - US Divers Seamed Black Hoses. Newly designed neoprene hoses that are 100% accurate in size, thickness, shape, diameter, number of convolutions and even material. 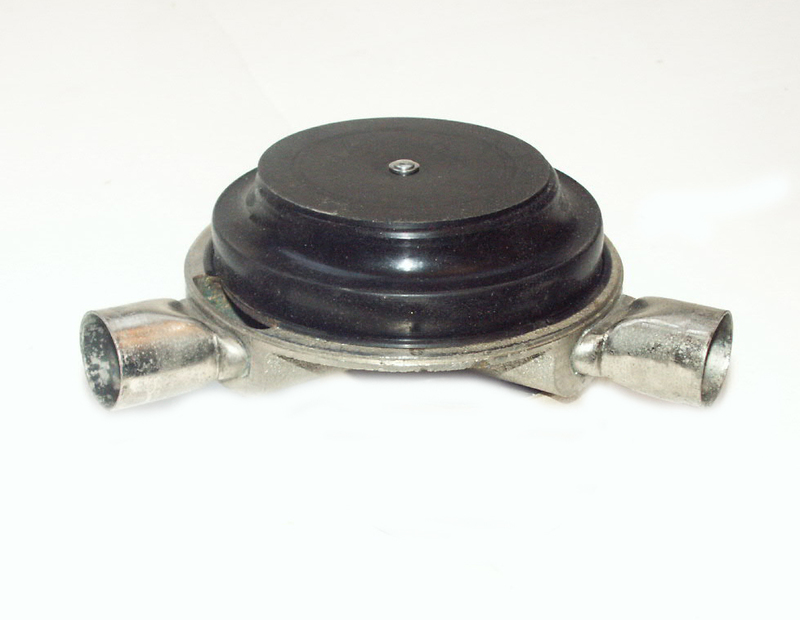 These were made with the purist in mind - they will add the finishing touch to your beautifully restored AquaMaster, Mistral, Jet Air, Navy Type DA, Royal or any double hose regulator that uses a 1½ inch mouthpiece. Price $45.00/Pair. For orders outside the US, please email for a shipping quote. #NMYH - U.S. 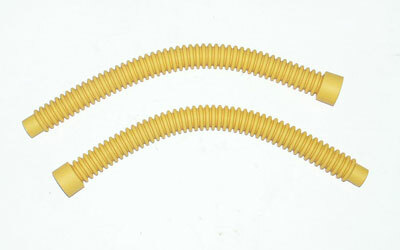 Divers Seamed Yellow Hoses. Newly designed neoprene hoses that are 100% accurate in size, thickness, shape, diameter, number of convolutions and even material. These are correct for the USD Mistral, early DA AquaMaster, late model Jet Air, and Viking and Norseman twin hose regulators. 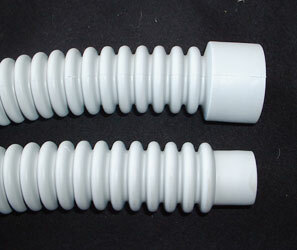 And they will also fit any US Divers double hose regulator that uses a 1½ inch mouthpiece. Price $45.00/pair. #NVGH - Voit Seamed Gray Hoses. Newly designed neoprene hoses that are 100% accurate in size, thickness, shape, diameter, number of convolutions and even material. These were made with the purist in mind - they will add the finishing touch to your beautifully restored Voit 50 Fathom, Polaris or Navy. 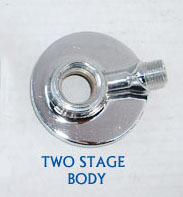 Will also fit any US Divers double hose regulator that uses a 1½ inch mouthpiece. Price $40.00/pair. #USDB - U.S. Divers Seamless Black Hose. For all U.S. Divers and Voit regulators with ends at 1 inch and 1 1/2 inches. Exact replacement for the Voit Trieste. Price $35.00/Pair. 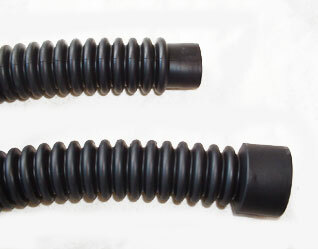 Original US Divers black hoses for display only. 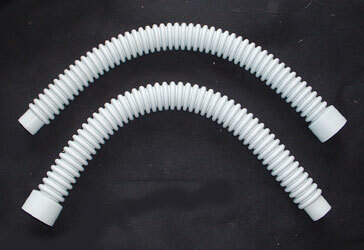 I have a number of used original hoses that are complete and untorn, but are too perished to use for diving. Great for display. Limited quantities - inquire about availability. Price $10.00/pair. 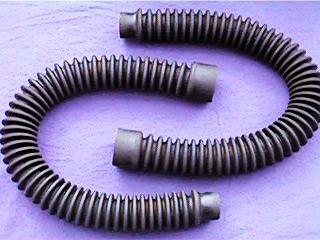 Good used factory US Divers hoses for original restorations. $45/pair. 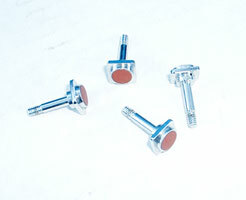 #RMPV - One-way mouthpiece valves. New exact reproductions, fit US Divers and Voit. $8.00/pair. 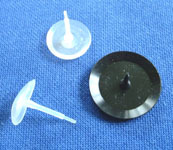 Inquire about 10% discount on 10 or more valves (5 pairs). 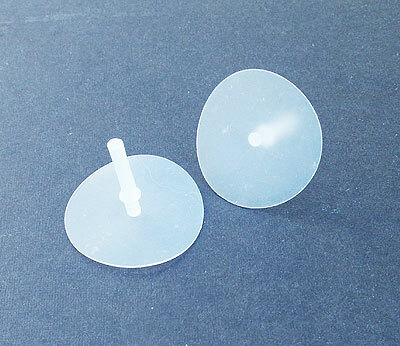 #CMPV - One-way mouthpiece valves in clear silicone. New reproductions, fit US Divers and Voit. $10.00/pair. 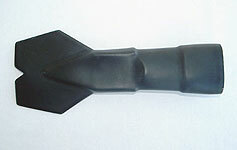 #DBEV - New reproduction US Divers/Voit duckbill exhaust valve. Shaped to fit the inside of the exhaust port with precision - won't wrinkle or twist! The finest available today, made in Great Britain. Two different lengths - please specify "trimmed" or longer "untrimmed" when ordering. Price $15.00. 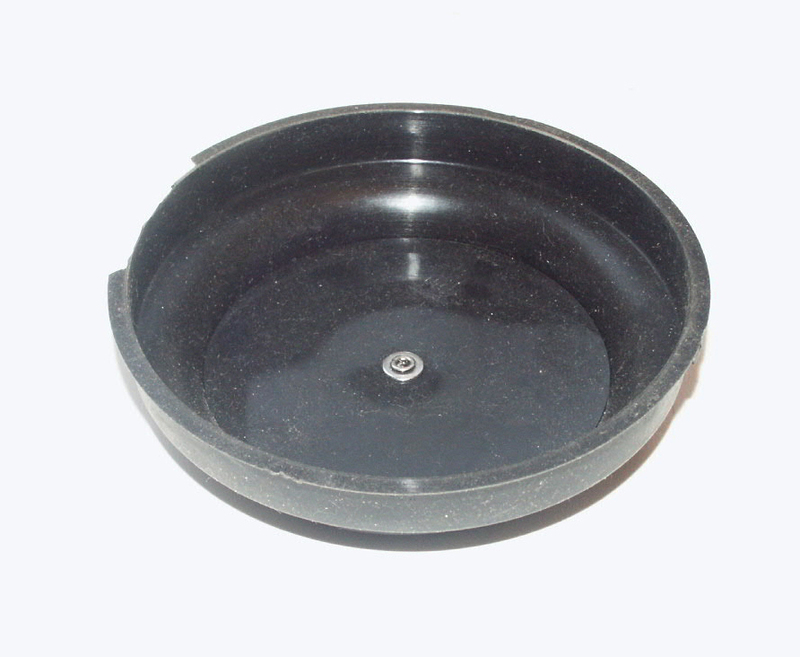 Made from silicone rubber with original style plastic rub plate and stainless steel rivet. Super flexible for fast reponse and easy breathing. Each hand made. Price $40. #HRBP - Plastic ratchet-type clamp for Nemrod Snark III double hose regulator mouthpiece end. 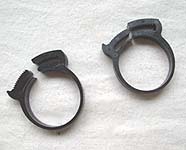 Price $4.00/pair. #USDB - US Divers two stage body (1012-03). Shiney chrome (may have small scratches from storage) used from 1964-75. Price $35.00 each. 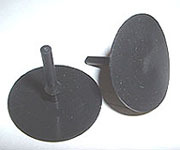 #USDDR - Original US Divers new old stock "Disc and Retainer" (part # 1010-07) for all US Divers Royal AquaMasters, AquaMasters and DA Navy Approved two stage regulators. Price $19.00. #USDH - US Divers 1010-05 horseshoe lever. New old stock. Price $15.00 each. 1002-08 US Divers/Voit single stage two hose regulator body to top box aligning pin. Price $2.50 ea. CSCR8 - US Divers/Voit stainless steel hose clamp screw. 1/2 inch long. Price $.50 ea. CSCR10 - US Divers/Voit stainless steel hose clamp screw. 5/8 inch long. Price $.50 ea. CSCR12 - US Divers/Voit stainless steel hose clamp screw. 3/4 inch long. Price $.50 ea. JETA - US Divers Jet Air stainless steel box retaining screws and nuts. Set of six. Price $3.50. VT50 - Voit 50 Fathom stainless steel box retaining screws and nuts. Set of six. Price $3.50. #MSPR - New! 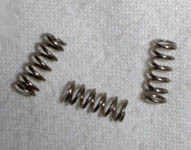 US Divers "DW" Mistral High Pressure Spring (Part No. 1002-10). Newly manufactured to exact specifications. Price $6.00 each. #NHST - Original Northill new old stock high pressure seat. Fits the early model only. Measures 0.247 inches diameter and 1.300 inches long. Price $25.00 each. 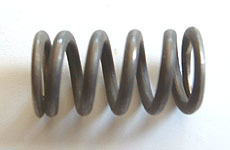 #NHSP - Original Northill new old stock high pressure seat spring. Measures 0.411 inches diameter and 0.760 inches long. Wire thickness is 0.063. Price $10.00 each. 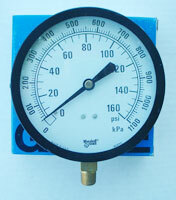 Marshalltown Instruments 0-160 psi (0-1100 kpa) pressure gauge. 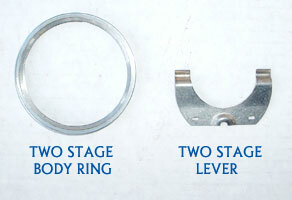 1/4 inch pipe thread connection. 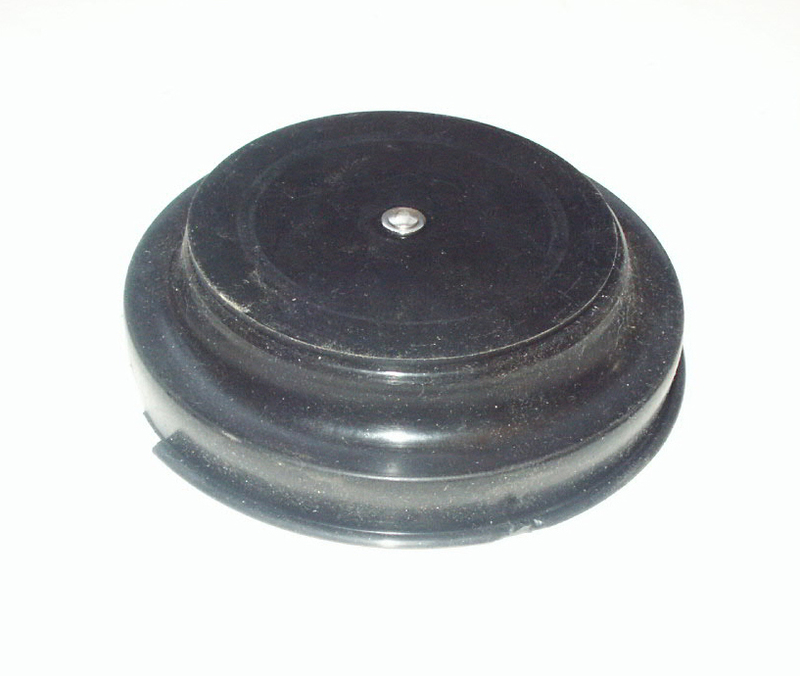 4½ inch diameter dial. Great for air compressor or regulator intermediate pressure gauge. Brand new in original box. Price $20.00. 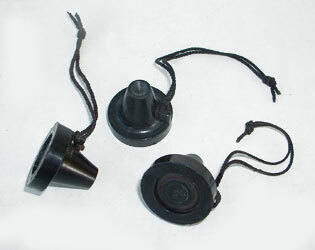 Original US Divers two hose regulator black plastic dust caps. Good condition. Price $7.00 each. 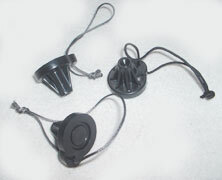 Original US Divers black hoses for display only. I have a few sets of used original hoses that are complete and untorn, but are too perished to use for diving. Great for display. Limited quantities - inquire about availability. Price $10.00/pair. If you'd rather order by mail, click here for our print and mail order form!